Plenty of shirtless men here in Malaga. Shane Ellis, Tom Dugan, Tyler Fernengel and Matt Cordova. Tyler Fernengel has been popping this quarter to bank so well. Great to see him back shredding. Perris Bennegas is the only women blasting this gap. Perris rides with so much confidence, it's really cool to see. Points leader, Larry Edgar. 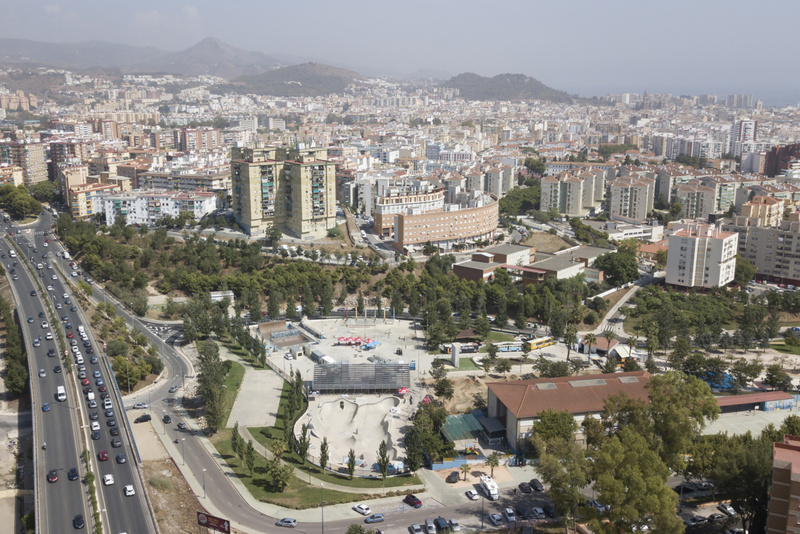 Larry qualified in Malaga in first last year and ended up in 4th... I wonder what the game plan is for 2018? From 2004-2010, Corey Bohan was unstoppable in any dirt event. He grew on cement though and is consistently making the finals in our show. Shooting this reminded me of those golden days of the past. Chase Hawk. Often Imitated, Never Duplicated... Definition: Many people attempt to copy something, but their efforts never match the original. Cauan Madona does cool Toboggans. His bars go past the regular 45˚ point but he adds his own spice to make it his own. Fast Plant to Euro from the Aussie in Europe. Jason Watts. Kris Fox flies like an eagle. When I asked Chris James if he wanted to shoot something, I didn't expect him to say "Flip Superman?" Haha. The wild man from Oz is a big part of our show and we love him. Vans Brazil asked for a photo of Cauan Madona in exchange for Feijoada, which translated to being meat, rice, and black beans. Looking forward to it! Perfectly executed one-and-done Toboggan from points leader Teresa Azcoaga with Dan Foley capturing for the GoPro Course Preview. Tyler Fernengel loves hanging from things doesn't? I'm happy to take a photo of this particular stunt. 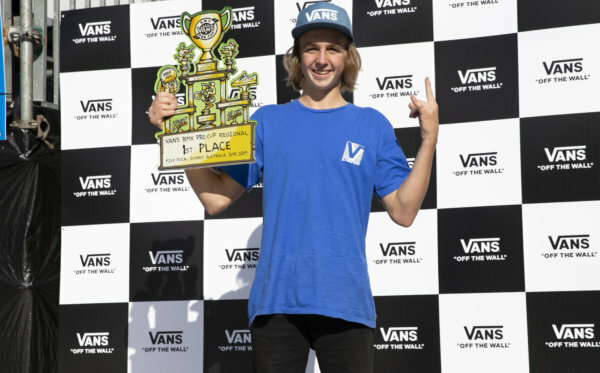 Jason Watts has won Mexico two years in a row. He was the only Pro at the early morning practice yesterday here in Malaga so that's an eager sign of good things to come here. We'll see how he goes! 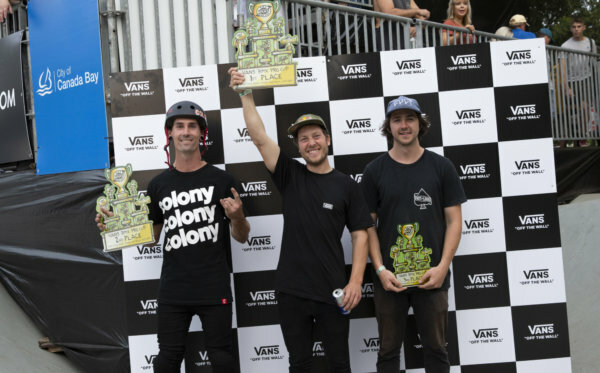 Shane Ellis earned his spot via the Australia Regional Qualifier podium finish. Expect this man to hang with the likes of Larry Edgar and Chris James for the highest airs over the weekend. Australia Regional Qualifier Winner and full-time scaffolder Ryan Saville is enjoying his first trip overseas. For winning the RQ in Australia, we provided his flight and accommodation to Spain plus a spot in the Semi-Final on Saturday! Rim's dad owns a bike shop in Japan. That's where the name Rim came from. True story! Japanese teenage sensation, Rim Nakumura. Pat Casey warmed up a whip across the channel... We can only imagine what's coming from Pat when the party starts. 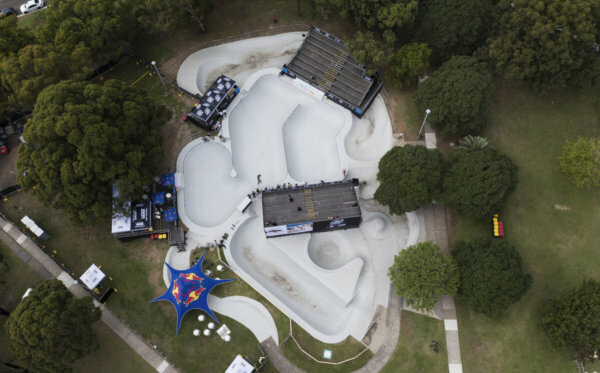 Matty Cranmer - One Foot X to begin a lap around one of the best parks in the world! 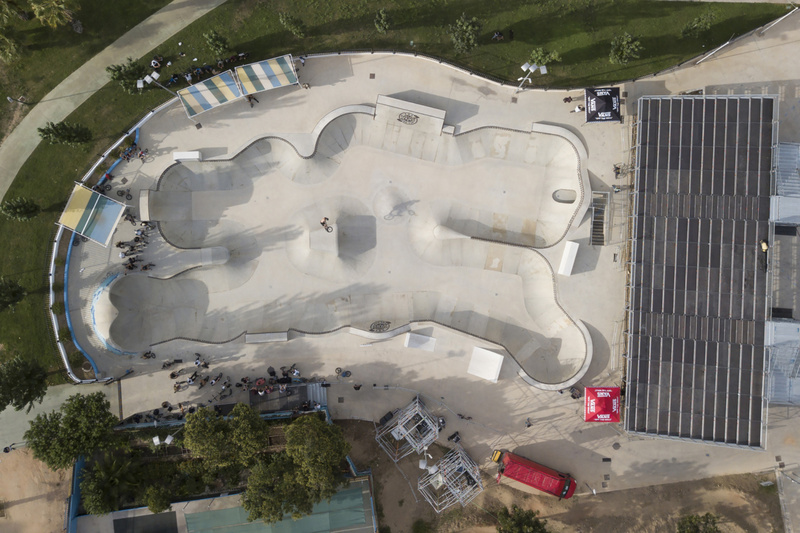 If you ride BMX, you need to get wheels on this park in your lifetime! To our delight, Gary Young wouldn't take anything less than a full twist of 270˚ on a lookback. 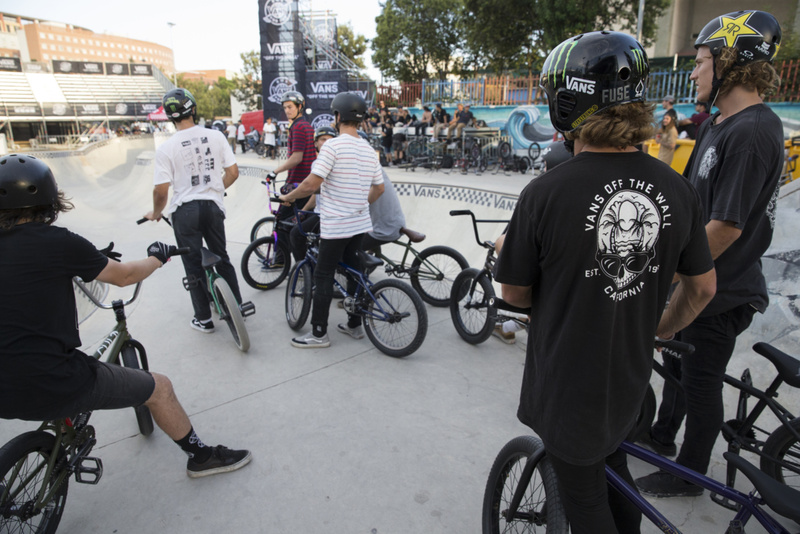 So cool to have the best on deck here in Malaga. Tom Dugan wearing gloves and not wearing his front teeth. Those fell out and are in the street somewhere in Malaga. Australian Boyd Hilder is really making a name for himself lately... He's a top 10 Tour Pro and you'll see why on Sunday. 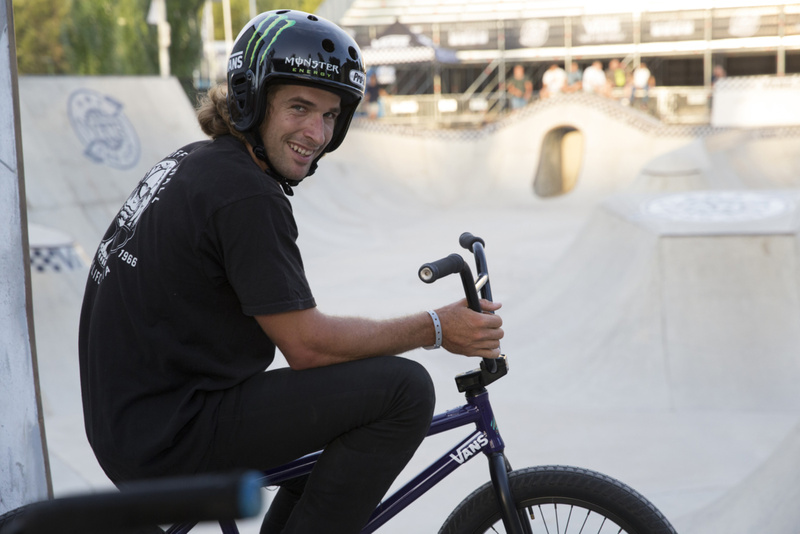 Parker Heath qualified to ride Malaga through the Chile Regional Qualifier way back in March. He has waited all year to ride the final stop! I requested Jason do this... It's easy for him, but he has such a good one-foot table and I just really wanted a pic of one! Corey Walsh has an epic part in Cult's new video It's Later Than You Think. Go buy it and get stoked on BMX! 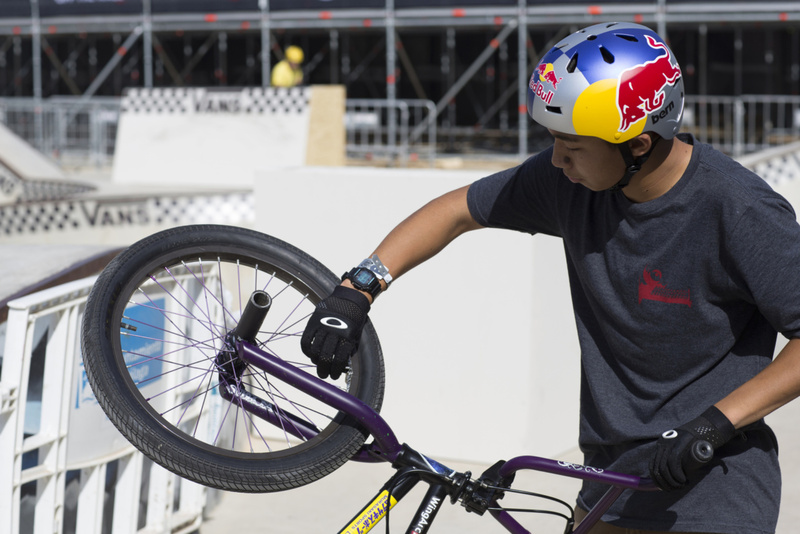 Corey just might be the current pocket master in BMX. Corey Bohan - First try Grizz to make his daughter Kirra proud. Kris Fox is maxing out the fish-eye angle he goes that high. Not a bad problem. We all enjoy watching Kris do his thing. How could you not, it's seriously a work of art when he's on the course. 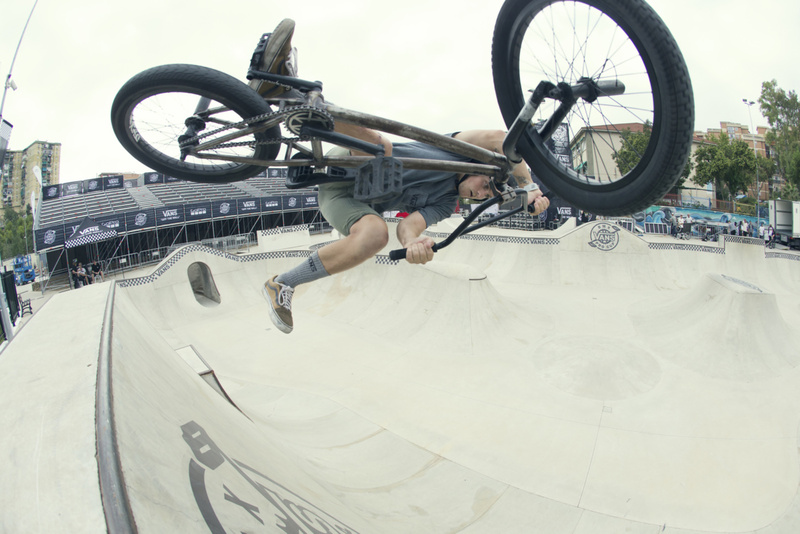 It's hard to get pics of Dennis Enarson. He floats around popping outrageous things out of nowhere to keep the engine warm ready for the main event where he laces it all together. It's really cool to see the master prepare. 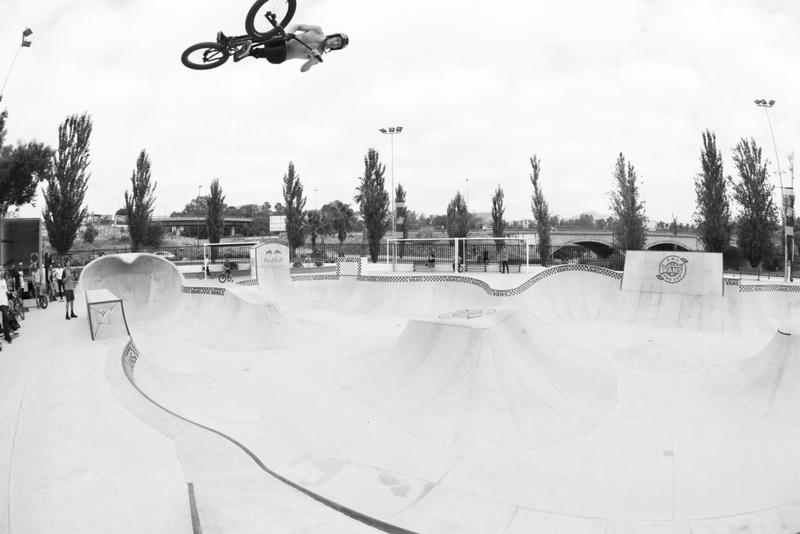 Two days worth of sessions at the park with Ruben Alcantara's name on it. This is the final stop and we are set to rock the world!!! Tune in on Sunday!